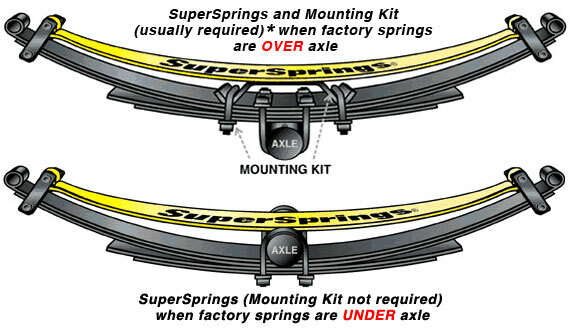 SuperSprings are adjustment free helper springs that mount above your vehicles factory springs to provide additional load support and to reduce body roll by up to 30%. 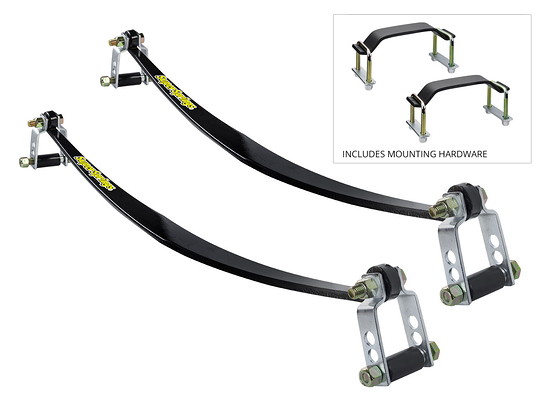 This unique stabilizing system uses a shackle with a roller on each end of the springs to which allows the Nissan NV3500 SuperSprings to activate when needed. 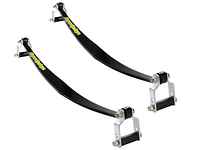 If needed you can level or lift from side-to-side or front-to-rear with the shackles muti-hole settings. 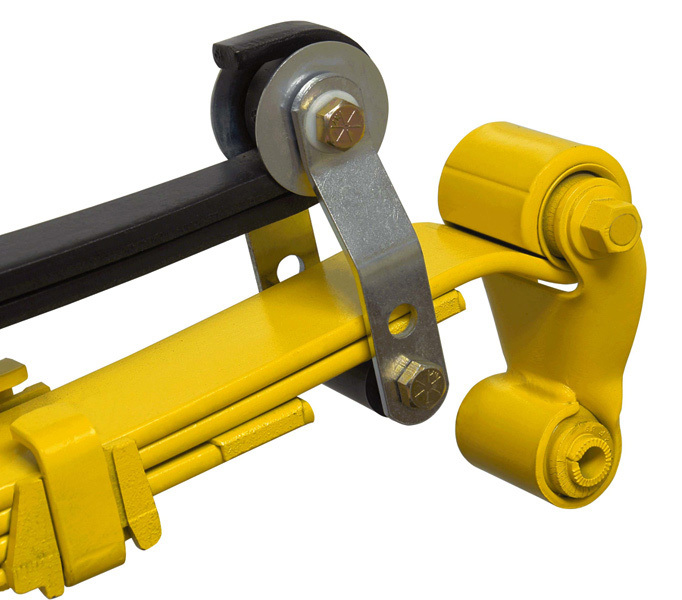 Never load any vehicle beyond the manufacutures gross vehicle weight rating (GVWR).